Today is another 2-fer! I found another painted turtle walking across the path today. 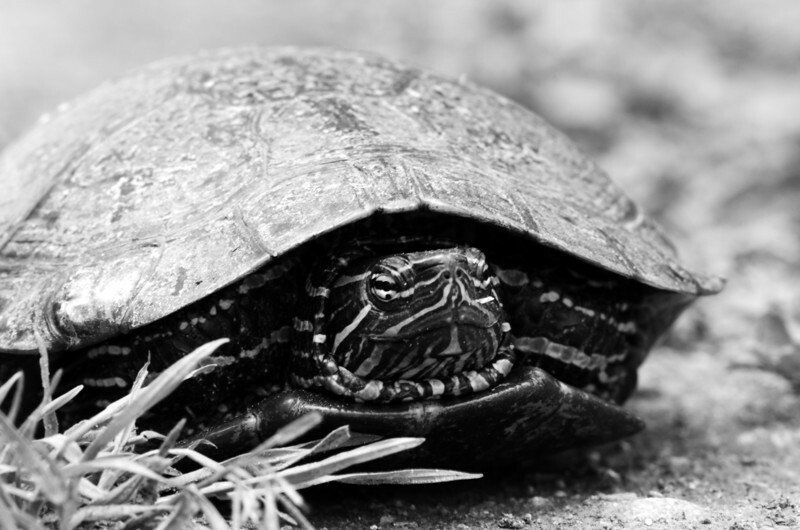 I posted 2 photos because in this one I love the composition and the look of the turtle in black and white. However, I'm not too thrilled with the clarity of the face on the turtle, and showing a painted turtle in black and white robs the poor little guy of the cool colors paintys are known for! So I posted the second turtle photo to make up for what this one lacks.